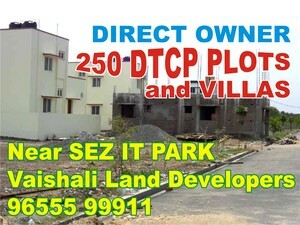 GOOD INVESTMENT LAND IN Coimbatore. Near IT Park, KGISL, CTS, Bosch, DELL, Kumaraguru College, KG Tech Eng. College, KG Arts College and CBSE Schools, Sankara College. Suitable for immediate constructions and investment purpose. Serene location for living & vaasthu compiled construction. Please call me for any further clarifications.